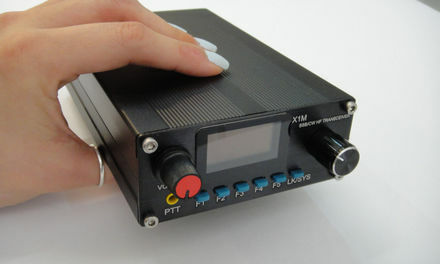 I was just reading earlier Simone IW5EDI’s article about a short overview on the K3 and the TS-590. This is an interesting debate as they are some of the popular high-performance transceivers on the market today, and I would like to share my views. Simone’s article is indeed an interesting read, comparing some of the points that make or break a transceiver. 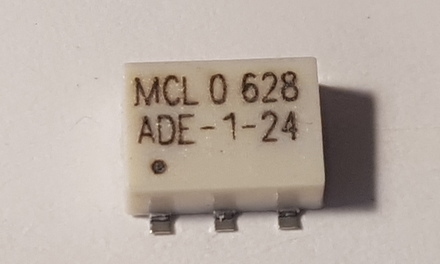 I think the fame of superior IMD characteristics for the H-mode mixer itself is owed to the bus switches, wich generally have much sharper turn-on/turn-off characteristics than simple FET transistors. It is proven by multiple reasearches (PA3AKE, RZ4HK, I7SWX etc) that designs (be it H-mode, ring, etc) wich incorporate bus switches are superior to diode/FET based ones, constantly reaching IIP3 in excess of 40dBm; also, N7ZWY’s article about the KISS mixer shows identical performance between diode-based ring and H-mode mixers. So I would say that K3’s mixer is actually superior to the one used in TS-590, thanks to the bus switches. The use of SA612 as the second mixer in the K3 is indeed kind of weird, but remember that if you keep the input level below a certain point it makes for a pretty good mixer. I am guessing the AGC is supposed to keep the SA612 from overloading. In turn, SA612 has the advantage (unlike passive mixers) of not requiring very good impedance matching. About the rest (filters, amplifier stages etc) I cannot comments since we don’t have any individual information or measurements. But, we have measurements for overall performance of these receivers and the K3 is looking superior in all of them (K3 in QST, TS-590 is QST, both in Sherwood Engineering’s table etc). Of course, such a complex product is not just the sum of it’s parts, and an important part is the user interface and the “feel” you get for it while using it. In this the two seem to have similar design, but at the “looks” department I must admit I like the Kenwood’s polished looks better than Elecraft’s laboratory-equipment-like style. Pricing-wise though, the two are pretty different. While the Kenwood TS-590SG is listed in US shops at the moment around US$1800, the Elecraft K3 starts at US$2400 assembled and it goes up very fast when you add optionals; just the autotuner and the microphone (wich the TS-590SG includes) adds another US$320 and US$60 respectively. This puts the TS-590 in the “high-performance but affordable” class while a fully loaded K3 is expected to battle with the big boys such as Yaesu FTdx-5000, Kenwood TS-990 or the newly-launched Icom IC-7851.